Theatrical Premiere Run at Film Forum begins on March 30! I Don't Belong Anywhere: The Cinema of Chantal Akerman explores some of the Belgian filmmaker’s 40 plus films, and from Brussels to Tel Aviv, from Paris to New York, it charts the sites of her peregrinations. 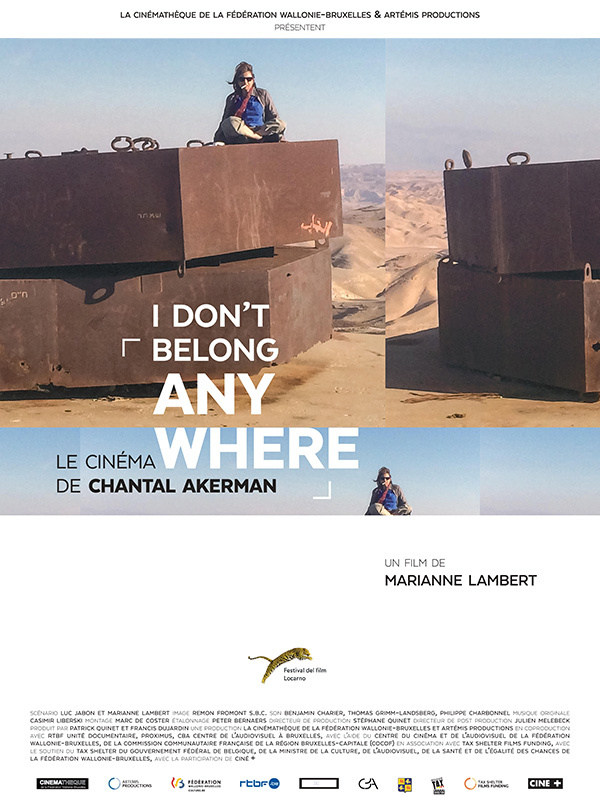 An experimental filmmaker and nomad, Chantal Akerman shared with Marianne Lambert her cinematic trajectory, one that never ceased to interrogate the meaning of her existence. And with her editor and long-time collaborator, Claire Atherton, she examines the origins of her film language and aesthetic stance. I Don't Belong Anywhere includes excerpts from many films made throughout Akerman’s career, including Jeanne Dielman, 23, Quai Du Commerce, 1080 Bruxelles(1975), News from Home (1976), The Rendez-vous of Anna and Je, Tu, Il Elle (1974),South (1998), From the East (1993), From the Other Side (2002), Down There(2006), and what would be Chantal Akerman’s last film, No Home Movie (2015).